CityTalk | Why does #urbanSDG matter? Join our Campaign! We want to drum up awareness on #urbanSDG in the run up to the World Cities Day on 31st October, to be held in Shanghai, China and in several cities around the world. Join the campaign until the 31st of October by letting us know why you care! Here are five easy steps. 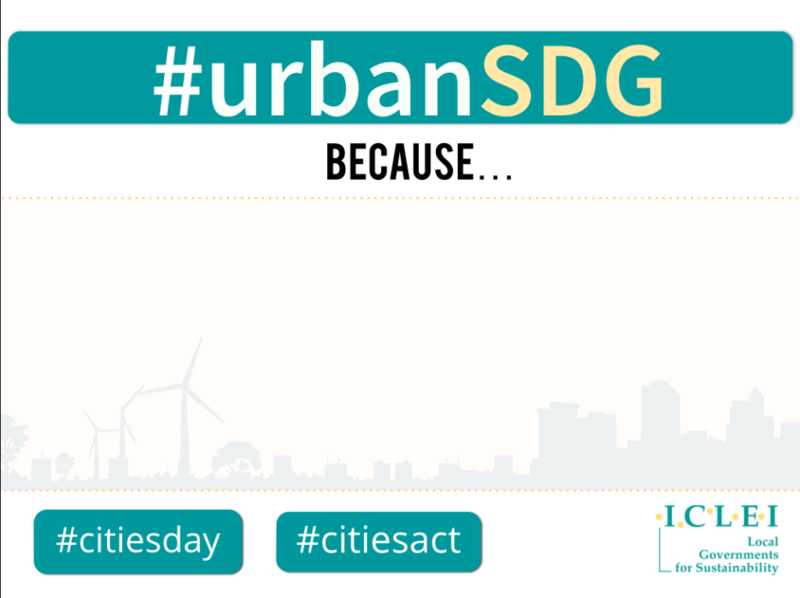 Fill out this template with a reason why #urbanSDG matters ( (for example: ‘because cities are the future,” or ‘because cities need more green spaces ’ or ‘because cities are key actors in sustainability’, or something personal like ‘because I need clean air to breathe’ or ‘because my city is my home’ etc.). Alternately, you can send the photo/video to media@iclei.org and we will upload it directly on our channels. Share more ideas about #urbanSDGs – drop us a line below!